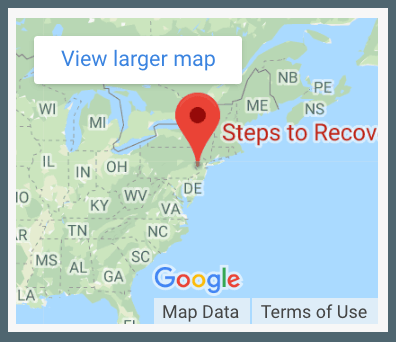 Looking for a way to stay involved with Steps to Recovery? Do you want to help give back to the community? The Steps to Recovery alumni program provides our past clients with an opportunity to stay active in recovery and our community. The alumni relations department at Steps to Recovery dedicates itself to providing individualized support and resources for our former clients and their families. We promise to provide a platform of support that is continuously available and easily accessible. Our program offers a personal and meaningful connection that helps support and motivate our former clients and their families. Steps to Recovery believes that the motivation for success starts with a strong network, which we work hard to provide successfully. Our alumni department offers bi-weekly meetings on Tuesdays at 7:45 pm of every month. We host various speakers that include alumni members, staff members, and guest speakers who are in recovery. These speakers provide unique opportunities for connection, growth, and reflection among members. We also host a number of different alumni events that provide opportunities to have fun in sobriety while meeting other alumni members in the area. If you’re looking for an immediate connection to our Alumni program, head to our STR Alumni Facebook page. Our group page is a private and secure platform where we celebrate milestones, share stories of hope, and spread messages of inspiration to keep a consistent connection with members. Addiction is a disease, but not just one that affects an individual. It reaches the family and loved ones of the individual struggling with the disease. For this reason, we also offer a group for the families of our alumni as well. This group offers unique support that families need to help their loved ones. We offer words of encouragement as well as helpful resources. This page is also private and secure so family members can find support and comfort in each other as everyone walks the journey of recovery together. STR also runs a Snapchat profile that includes messages from staff, thoughts of the day, inspirational quotes, “things to think about,” and fun, candid moments throughout our day! At STR, we believe that the largest resource you have in recovery is your peers. Embracing fellowship and connection is proven to catapult individuals towards long-term recovery. Our Step Up program creates a close-knit support network by providing contacts from different generations of alumni. The idea is to allow future and new alumni members to have access to a network of influential and supportive individuals that share similar experiences. The main goal of our program is to bridge a gap between past and new alumni members by offering a way for connections to occur in our community. Seasoned alumni members can volunteer their contact information that we provide for discharging clients. This gives clients entering back into society a source of support and hope during their next phase of recovery. Are you interested in our Alumni or Step Up programs? Do you want to volunteer your services? If so, reach out to our Alumni Relations Coordinator, Rebekah Moyer, by emailing her at [email protected] today. You can also call her at 215-704-3180. In need of our treatment services? Reach out today at 866-488-8684.